Welcome to another installment of the Girl Boss series (previous posts here and here)! I’m so excited to interview Mary from Layers of Chic in today’s post. 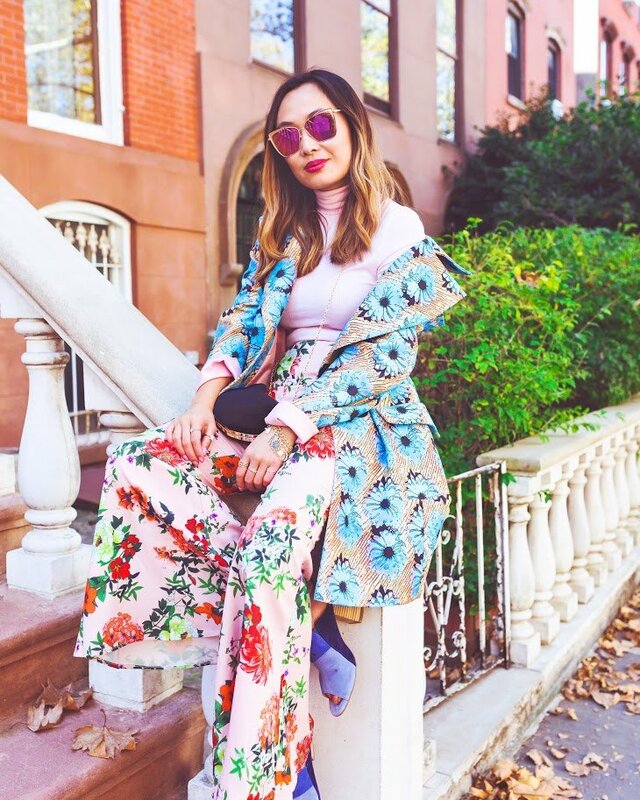 I’ve been following her blog and Instagram for a few years now and am absolutely obsessed with her eclectic and colorful yet feminine style. She has such a great eye for mixing patterns, colors and items that seemingly wouldn’t go together to create the most chic and stylish outfits. Not only is she super fashionable, but she’s a kind, hard-working and genuine individual. I loved getting to meet her in person at NYFW and have watched her blogging journey blossom on Layers of Chic since the beginning. Check out her interview below! My name is Mary and I am the founder of Layers of Chic, a fashion and style blog. I live in Brooklyn and am happy to say that I am living the dream. My style is super feminine, colorful, and whimsical. I created Layers of Chic to share my love for personal style, especially mixing vintage and modern pieces. 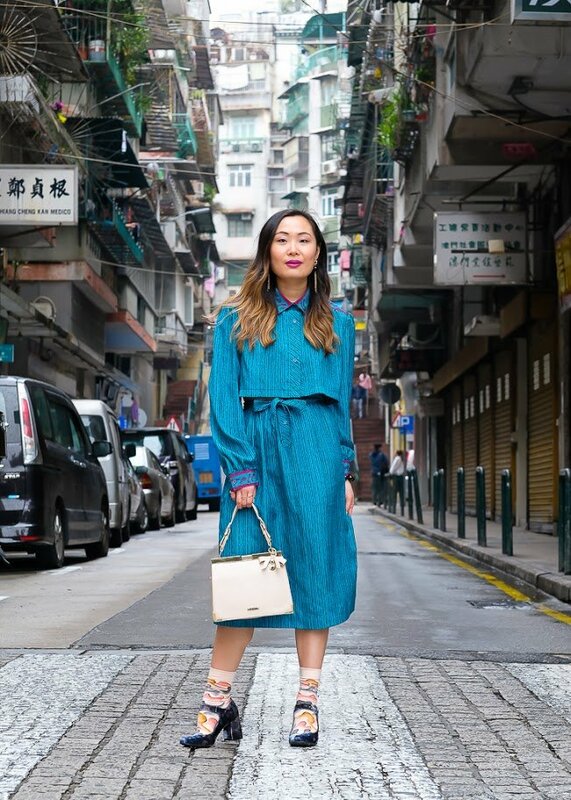 I believe that personal style can be the best expression of oneself, and so my blog seeks to inspire others to embrace their own sense of style. I worked in advertising for 5+ years before becoming a full-time blogger. I have always loved fashion and followed many bloggers since college, but due to my job never had the time to fully pursue it. So I decided to just take the plunge and give myself a year to “make it” in blogging with Layers of Chic. When I quit, I had 500 followers on Instagram and no idea what I was doing. But I believed in myself and my point of view, and threw everything I had into building up my following and brand. I started to grow steadily once I put 100% into my blog, and that’s when I knew that I could really make a living off of this! How has Layers of Chic evolved since you first began? The majority of Layers of Chic has stayed the same in terms of the goal, but I have definitely increased the quality of my photos and the consistency of my look and feel. When I first began, I was less picky about what I would post on my Instagram. For example, I would post product shots and flat lays, and even food pics occasionally. But as I grew, I realized that those photos didn’t do well on my feed, and so I began to only post outfit photos, and for beauty photos, I made sure to always have me in them. I also used to love detail shots, but I also saw that they didn’t perform as well. So now I mainly post full outfit shots or portrait shots, with a few detail shots sprinkled in. What is your favorite and least favorite thing about blogging? My favorite thing about blogging is getting to style outfits for a living. I live and breathe fashion, so being able to do this all the time is just a dream come true! My least favorite thing is probably balancing what people want to see and what I love to create. For example, there is a trend now of iPhone photos doing better on Instagram, but I simply don’t like the way they look. My style is also not as relatable and everyday, but more casual outfits sometimes do better (and definitely sell better). So it’s a struggle sometimes to continue creating what I want to create when the content may not perform as well. Can you give us a peek into what a typical day is like for Layers of Chic? Everyday is different. Some days are literally spent in my PJ’s editing photos, writing blog posts, engaging on IG, and developing new strategies and content ideas. Other days are filled with events, meetings, and shoots. I liked to try to segment my time, so either I have a full day of just working at home, or a full day of being out and about. I find that I am most productive this way. If you could switch wardrobes with anyone in the world, who would it be and why? It would definitely be Blair Eadie of Atlantic-Pacific. She is my style icon and the epitome of feminine. Her outfits transport me to another world, she is a true artist in the way she puts together her looks. What is something that people are surprised to learn about you? People are surprised to learn that I’m actually an introvert and am most happy when I’m at home. 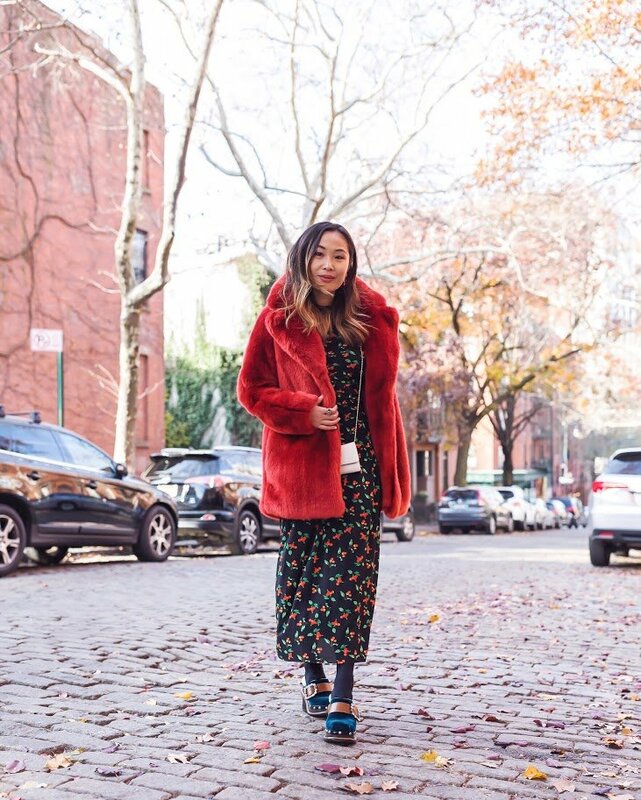 I may come across as very social and talkative when I meet someone at blog events and meetings, and I also go to almost every event because I see it as an opportunity for Layers of Chic. But I actually most happy working on my content and spending time with my boyfriend and close friends. So I think I have two moments: when Refinery29 reached out to me last year to do a Nordstrom Rack campaign, and recently when Buzzfeed featured me on an article about Instagram influencers and showcased a day in my life. Both felt so surreal! Honestly, there is nothing else I would be doing. Layers of Chic is my dream job! Where are your top three favorite places to shop? & Other Stories, Chicwish, and Edith Machinist (vintage store). Hard work pays off – if you want something bad enough, don’t be afraid to sacrifice and commit yourself 100%. Thank you so much to Mary for sharing with us! Be sure to follow along on her Layers of Chic blog and Instagram! What do you think of today’s interview?